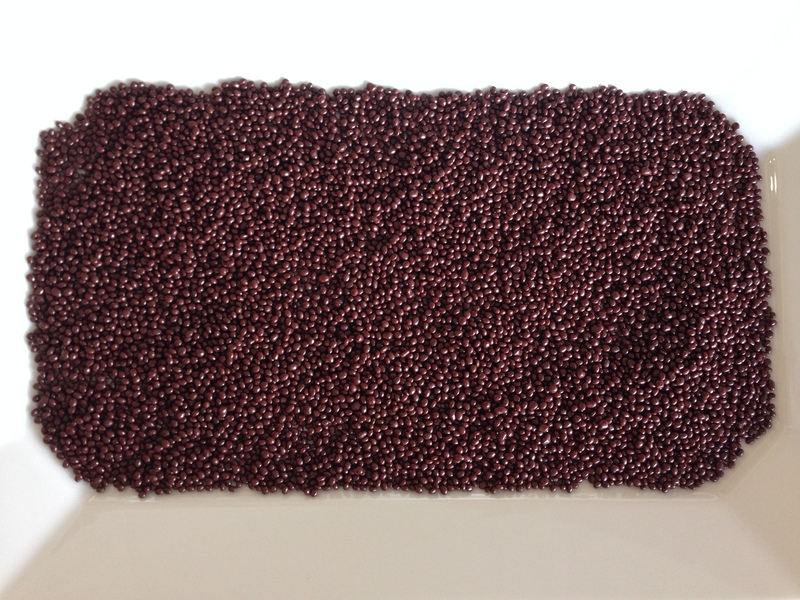 Rich in Omega 3’s, fiber, and magnesium, organic and fair-trade Himalania chia seeds are grown in Peru. A popular seed used in cereals, chia seeds are also used as an egg replacement because the seeds when moistened expand into a gel-like texture that helps bind and elevate foods together. But beyond using chia seeds as a nutritional boost, leavening agent, or binder for cereals, puddings and baked goods, chia seeds are also a great tasting snack food, especially when they are covered in rich, dark chocolate. Himalania Organic Dark Chocolate Chia Seeds are a perfect substitute for chocolate sprinkles. With all the crunch and flavor of chocolate sprinkles, Himalania Organic Dark Chocolate Covered Chia Seeds provide a nutritional boost that sprinkles don’t have along with being dairy-free. So, sprinkle these delicious little morsels over oatmeal, almond milk (or cashew or coconut milk) ice cream or yogurt. Add a quarter cup of dark chocolate covered chia seeds to cookie dough for some added flavor, nutrition, and crunch. Or, eat a spoonful right out of the bag. Sold in 5 ounce resealable packets, Himalania Organic Dark Chocolate Chia Seeds sell for $9-$10 per bag, depending not the retailer. On-line purchases can be made at www.vitacost.com. During the warm months when chocolate melts easily, purchase these treats at a local Whole Foods Market or fine grocery store that carries products made by the Natierra company (who owns Himalania). 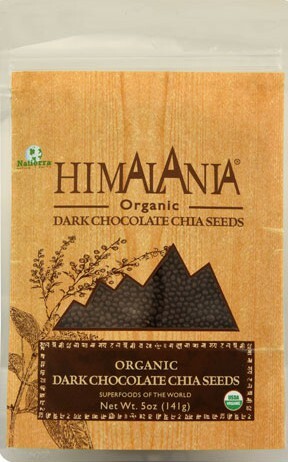 To read more about Himalania Organic Dark Chocolate Chia Seeds and other products, go to www.natierra.com.